La Luna Center specializes in helping individuals struggling with eating disorders, depression, anxiety, OCD, etc. The facility accepts male and female patients, as well as, adolescents – age 14 to 19, and adults. The La Luna Center offers three treatment programs – Partial Hospitalization Program (PHP), Intensive Outpatient Program (IOP), and the traditional outpatient treatment program. Individual and group therapy sessions are in order, based on the principles of CBT and DBT. Medication management is available on-site. Upon arrival, the patients engage in a free consultation during which they discuss their unique case with a professional counselor who will later decide whether or not the facility and its treatment programs are a good fit for the patient. The La Luna Center guarantees good results for its patients who are determined to change their lives for the better. 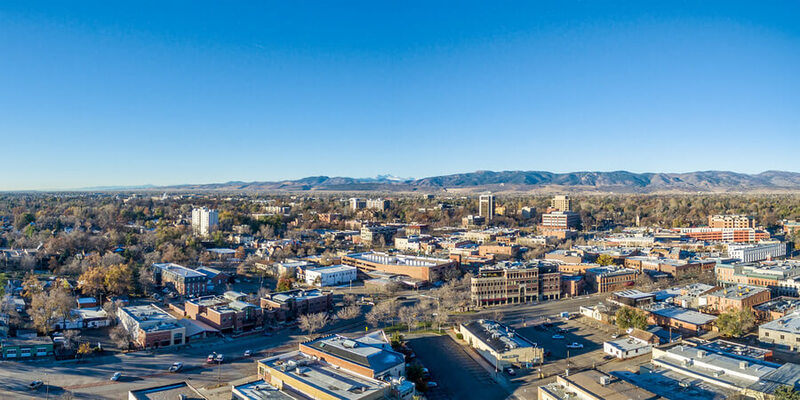 The La Luna Center is currently available on two locations in Colorado – in Boulder and in Fort Collins. Both locations offer accommodation to its patients as a part of the Partial Hospitalization Program (PHP). The facilities are in the dorm-style, with patients required to share rooms with each other. Bathrooms are shared as well. All meals plus snacks are prepared on-site, by the kitchen staff which follows a diet plan prepared by a professional nutritionist beforehand. Dietary requirements are respected. Partial Hospitalization Program (PHP) – The Partial Hospitalization Program (PHP) is perfect for anyone who is not capable of leaving work/school to attend to therapy, but despite that is in need of inpatient treatment program. The PHP offers patients to live at the facility, with them being able to leave to attend work or school. Intensive Outpatient Program (IOP) – The Intensive Outpatient Program (IOP) is different than the PHP since it does not require patients to live at the facility. They are free to live at home but are required to visit the facility to engage in the assigned therapy sessions. Outpatient treatment program – The traditional outpatient treatment program only requires the patients to visit the facility at the scheduled therapy sessions, but what makes it different than the IOP is its duration and the frequency of the therapy sessions. The traditional outpatient treatment program usually lasts shorter than the IOP and has less frequent therapy sessions on a weekly level. The official website of the La Luna Center provides us with good news regarding the payment options at the facility. According to the official website, the La Luna Center accepts most insurance plans among which are Aetna, Cigna, Optum, UMR, GEHA, UnitedHealthcare and many others. The facility also offers a sliding scale, as it is ready to be more flexible around patients who do not have valid insurance, nor are financially powerful. Please do use the phone number provided as a part of this review article to contact the professional team at the La Luna Center and find out more about the payment options yourself according to your own case. The La Luna Center has been accredited by the state of Colorado for its hard work and dedication to its patients. The staff at the La Luna Center can provide you with more information on this topic if you choose to contact them via phone during working hours. Although the La Luna Center does not offer traditional family therapy sessions, it does take the time to organize a special event every first Tuesday in the month, called “Friends & Family.” During this event, the patients’ friends and family members are invited to join in and learn more about the issue of eating disorders, what triggers them, how to recognize the symptoms, and most importantly – how to help their loved ones to recover fully. Using her own professional, as well as, personal experience with eating disorders, Malia Sperry operates as a clinical director at the La Luna Center after earning her license to practice psychology, specializing in the area of eating disorders. Holly Scanes is one of the therapists working at the La Luna Center who specializes in counseling both adolescents and adults with eating disorders and other co-occurring mental health issues. Holly Scanes has a Ph.D. in Counseling Psychology which she has earned at the University of Colorado. Sarah Hews has both a Master degree and a doctorate in the domain of Counseling Psychology from the Northeastern University. Now, she serves as a therapist in the La Luna Center in Boulder, Colorado. Michel L. Fields is one of the leading therapists in individual and group therapy at the La Luna Center. She has completed her internship at the La Luna Center which soon after became her permanent job. Monica Myers Jones has been described as friendly, positive, creative, and full of wisdom – qualities which she introduces during her individual and group therapy sessions, as well as, lectures about self-awareness, and positivity.